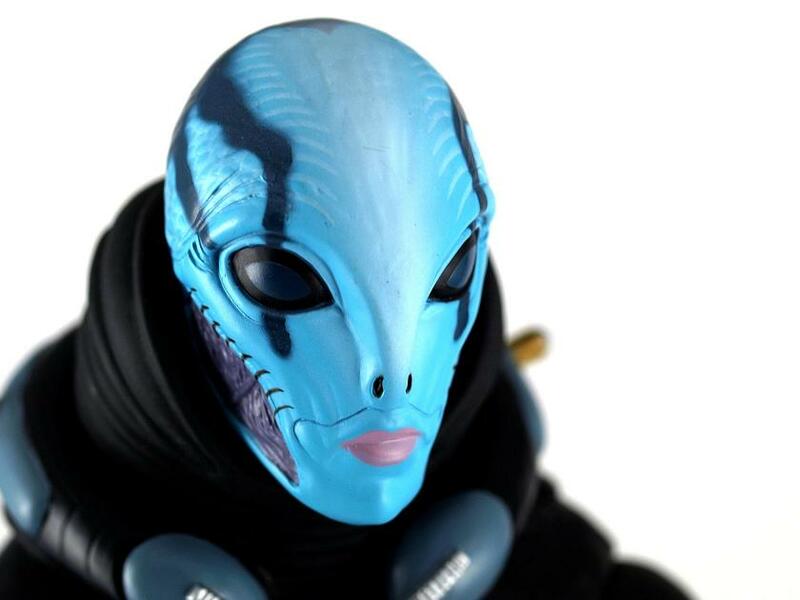 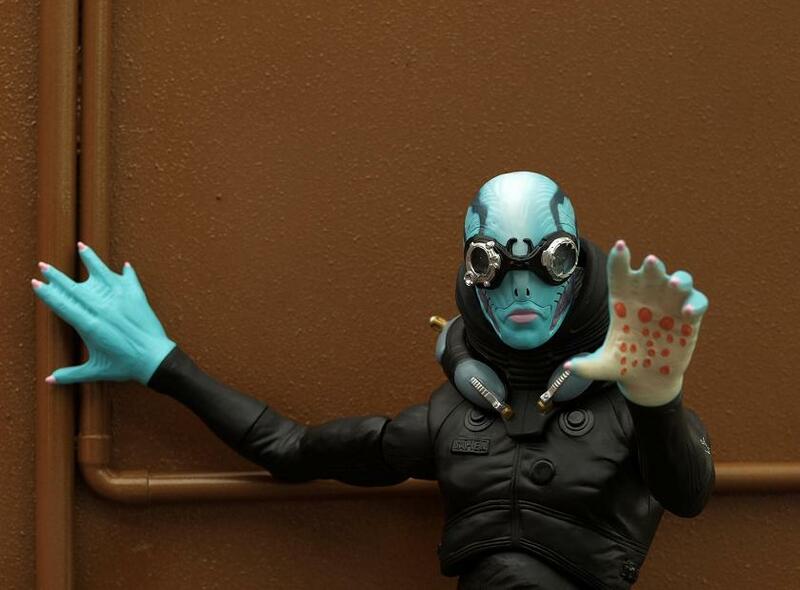 Abe Sapien, the psychic humanoid amphibious paranormal investigator of Hellboy fame, gets the deluxe treatment with this super-sized figure. 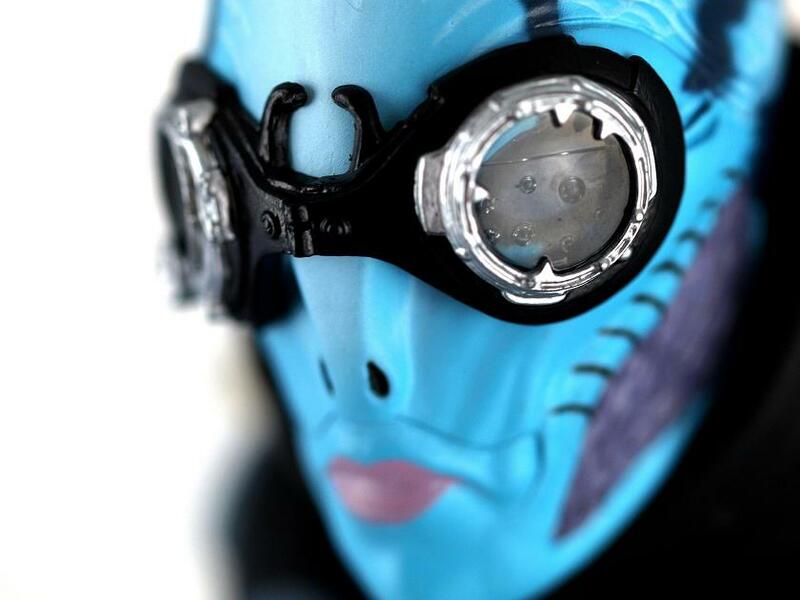 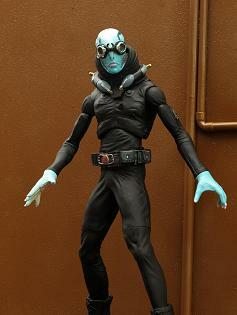 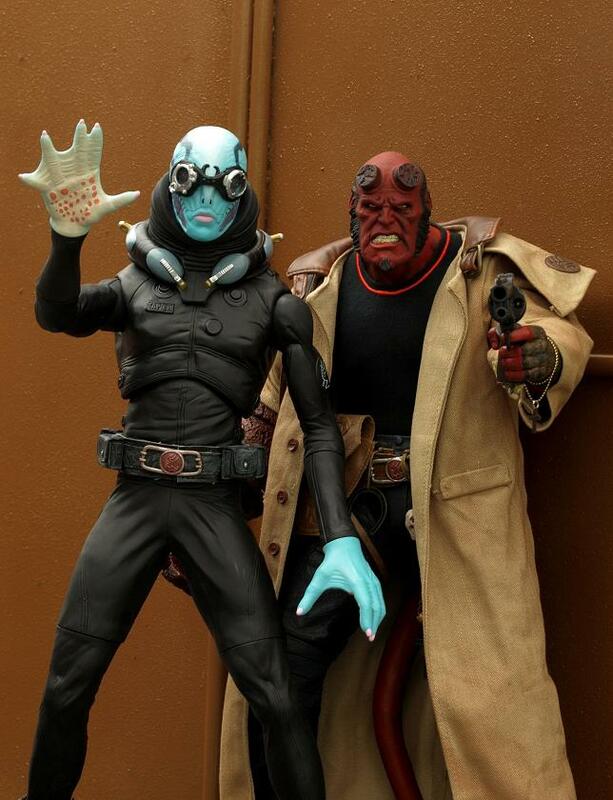 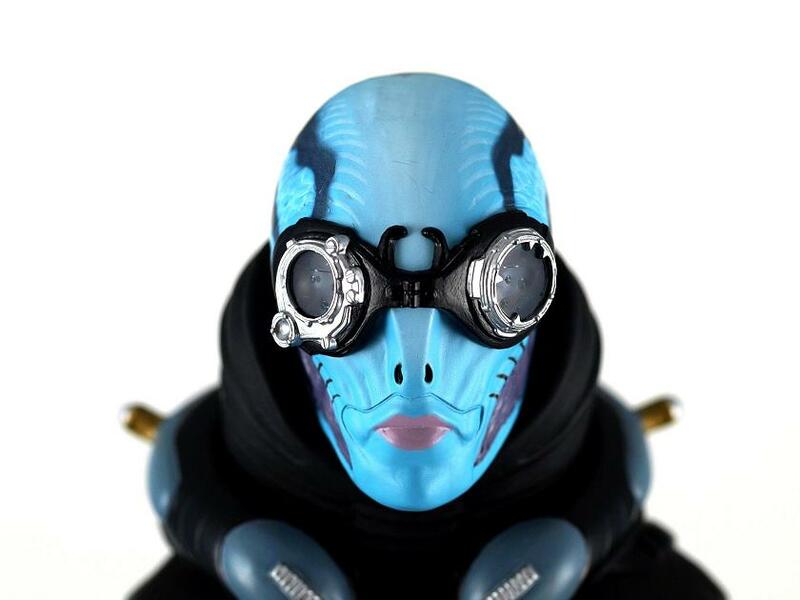 Standing a towering eighteen inches tall, this Abe Sapien is faithful to the design of Abe as seen in Hellboy 2:The Golden Army. Abe features fifteen points of articulation, removable goggles, and removable breathing apparatus. 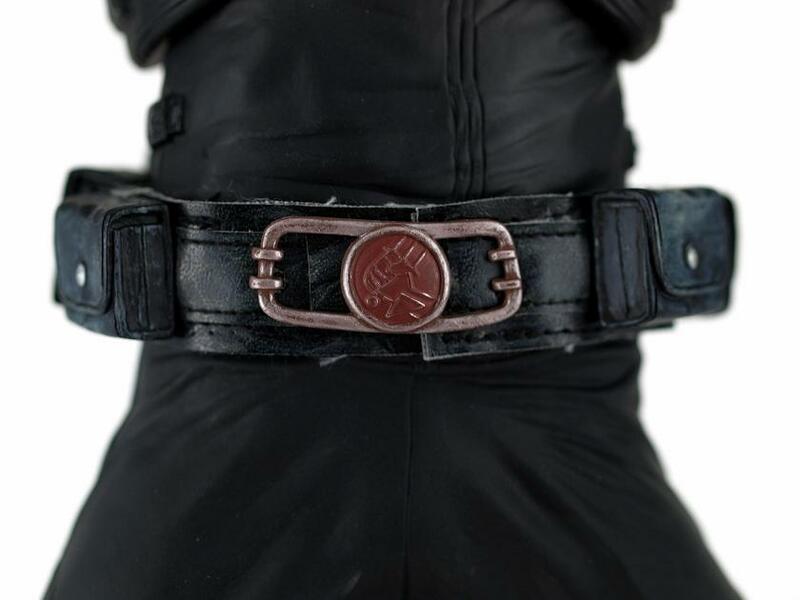 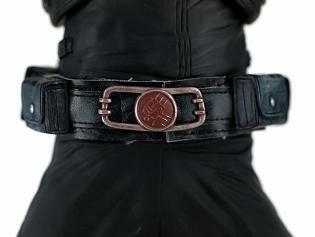 Abe will be available at San Diego Comic Con in July 2009 or through Mezco Direct.